Whether you use Twitter for business, personal, or entertainment reasons, having Twitter Lists makes the experience even more personalized. Twitter Lists make it easier to stay up to date on the topics you’re interested in, and the people you care about, or find highly entertaining. 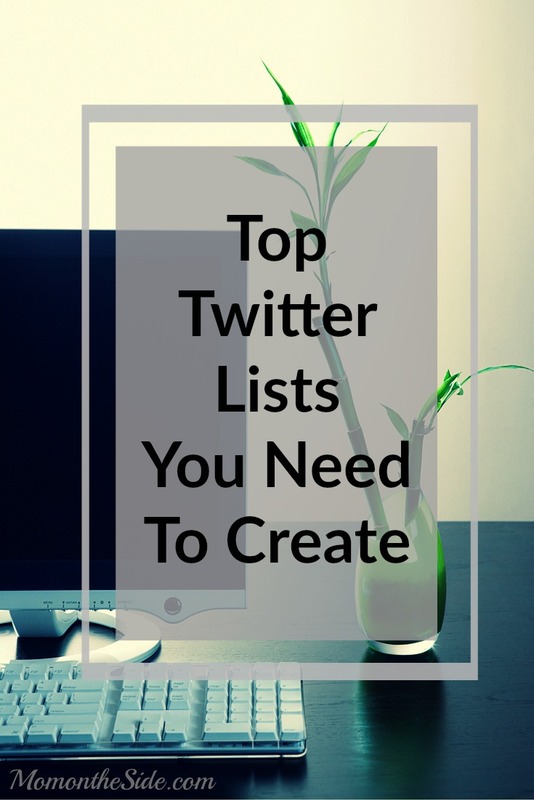 😉 Today I’m sharing the Top Twitter Lists you need to create and I’d love for you to share your favorites too! Friends Twitter List so you can keep up to date on what your besties are doing. Entertainment Twitter List so you are in the know on your favorites shows and movies. Motivational Twitter List when you need a little push. #MotivationalMonday is a great hashtag to search for people to add to this list. Foodie Twitter List to help you find your next dish and #FoodieFriday is a great place to start. Hobby Twitter Lists so you can see what’s going on in the world of your hobbies. Make a list for each hobby you want to find followers for. Photography, painting, and books are popular on Twitter. Travel Twitter List to inspire your next adventure. If you search #TravelTuesday you will find lots of great places to travel, as well as travel tips and maybe even some giveaways. Blogger Twitter List to follow your favorite blogs and bloggers. This is a great way to see their latest posts, find out about giveaways, and get involved in Twitter Parties they are hosting or attending. Brand Twitter List of your favorite brands and businesses. This gives you an easy way to find local events, deals, and new items from the stores you shop and the brands you buy. What are your Top Twitter Lists to use? I admit I don’t do anywhere near as much with lists as I should. Thanks!